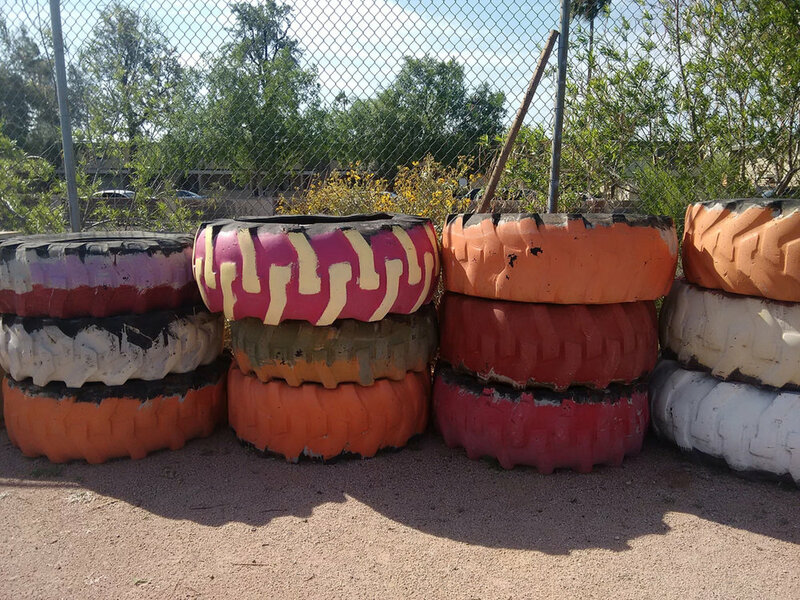 Installation: Sounding Out Spaces: Garden Ecologies is a collaboration between Lauren Hayes and Julian Stein, featuring several site-responsive installations that took place within the Clark Park Community Garden in Tempe, AZ on April 28, 2017.
more information: Sounding Out Spaces is a site-responsive sonic art project that explores ecosystemic relationships between people, sounds and spaces. 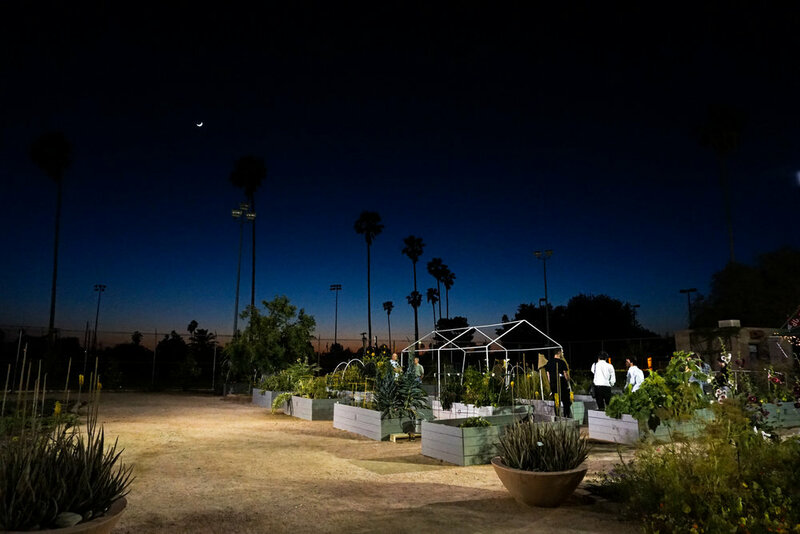 The project, which was started by sound artist and Arizona State University professor Lauren Hayes in 2014, involves musical and technical approaches for artistically responding to and participating in a given site. These sites have included buildings and spaces that have not been designated as concert venues, as well as outdoor urban and rural settings, and they range from retired industrial structures, visually stimulating landscapes, architecture with unique acoustic properties, natural environments, or places of cultural or historical significance. 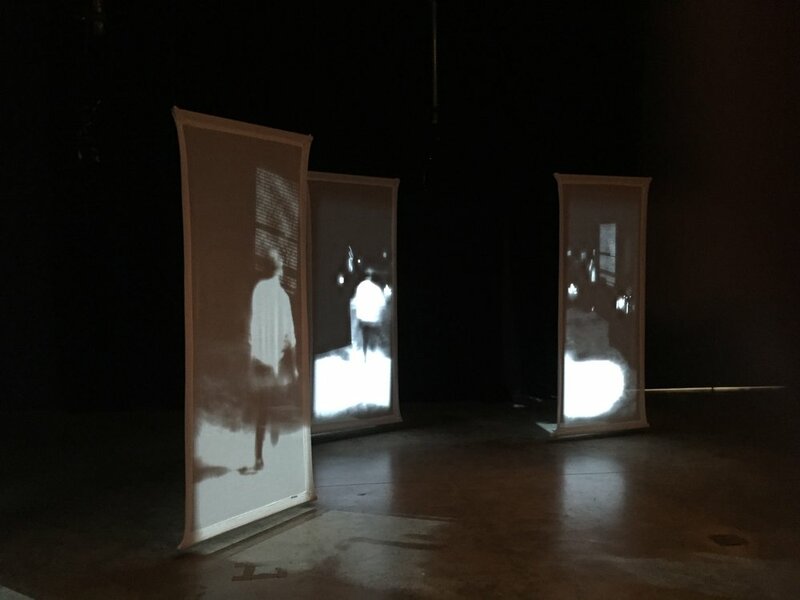 Video Installation: Time Lenses (2016) is an installation of multiple displays and cameras that are carefully placed in a physical location to refract activity into a suite of rhythmically recomposed movements. Live video processing instruments will augment the space so that any activity, rehearsed or unrehearsed, quotidian or marked, will refract into a suite of projections, each revealing a different temporal or rhythmic aspect of the corporeal activity within the space. 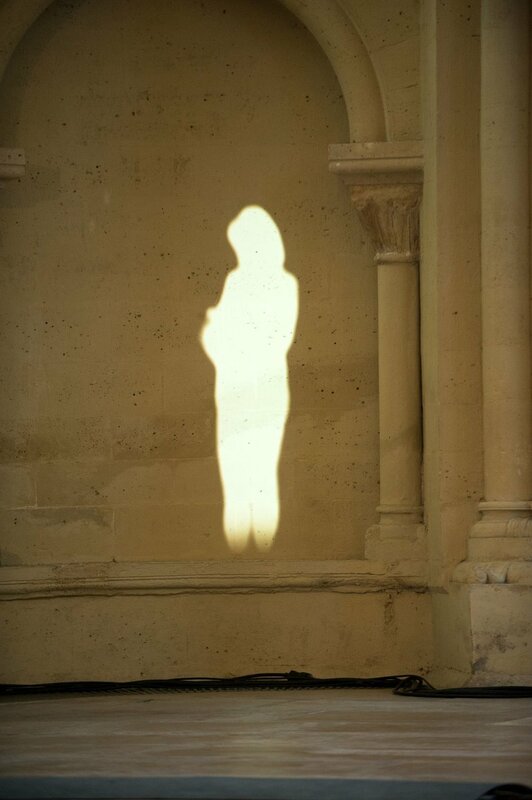 An activity in the space will appear on these life-size installations that act as temporal lenses or temporal mirrors. As a set, these time lenses explode captured movements into constituent rhythms and display them "contrapuntally" on the image surfaces arrayed in the space. Corps dessinant: À l’occasion de l’exposition "Machines à dessiner", le Musée des arts et métiers s’associe à l’institut ACTE (Unité Mixte de Recherche de l’Université Paris 1, Panthéon Sorbonne et du CNRS), à son programme « Exposer la Recherche » et à son équipe EsPAS (Esthétiques de la Performance et des Arts de la Scène) en invitant douze artistes contemporains à s’emparer du thème de l’exposition pour le transposer au monde de la performance artistique, les samedi 3 et dimanche 4 décembre 2016. Il est ainsi proposé aux visiteurs une lecture alternative, inédite et contemporaine du propos de l’exposition et des collections du Musée des arts et métiers, où corps et machines se confrontent, s’associent et se confondent le temps d’un week-end. "Embodied Encounters" addresses art-making practices in media arts via the new language of creative cognition. The exhibition demonstrates the philosophical and conceptual ways artists respond to a world made increasingly complex by technology, as well as the evolution of action in artistic creation, and the synergy between materiality and bodily awareness. Through these encounters, we see the divisions between mind and body,self and world dissolve. This phenomenon is highly relevant to contemporary artistic practice as artists become increasingly aware of embodied interaction between intuition, logic, and reason to produce their work. How does the artist’s consciousness engage in a world comprised of analog, digital, and virtual stimuli? The Beall Center addresses this question through an ambitious, provoking voyage through cognition and intelligence – human and artificial alike. 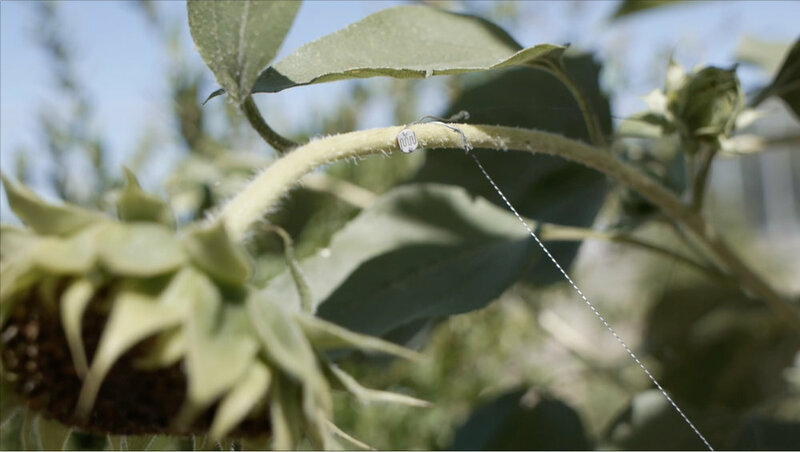 The exhibition runs from October 1, 2016 through January 21, 2017.
video installation: a study on the synchronization of sound and image. 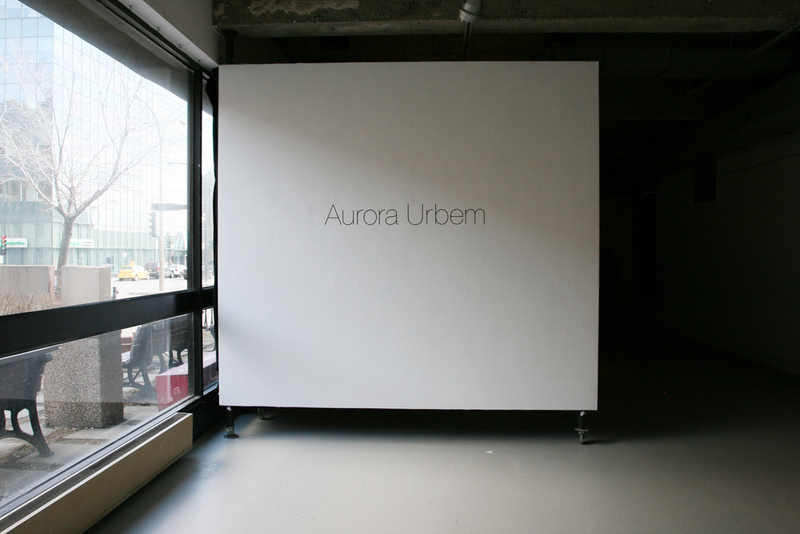 lux urbem is a video work both for installation and single channel format, exploring city light (both exterior and interior) through demonstrations of movement and shape. All images were captured during the Winter 2011 in Montréal, QC. 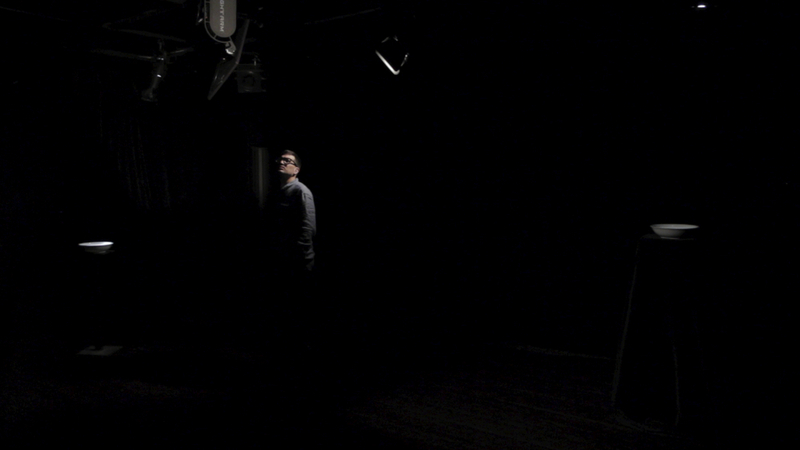 INSTALLATION: Provided Max/MSP programming and spatialization for Chantale Laplante's project, assi/terre. L’oeuvre assi/terre [titre de travail] est tissée de deux langues : l’innu et le français. L’innu, langue sur la frontière du disparaître/apparaître, et le français langue de traduction. C’est un va-et-vient entre le chant et le sens qui traverse la trame sonore. À travers les liaisons de vocables et de bruissements, et au détour d’une promenade, l’auditeur peut alors faire l’expérience d’une double traversée celle de l’espace de l’oeuvre et de l’espace citoyen. assi/terre [titre de travail] met à profit le dispositif de diffusion éminemment déambulatoire du centre d’artistes Sporobole en multipliant les traversées et en démultipliant, par effet de saisie, notre capacité perceptive du monde. 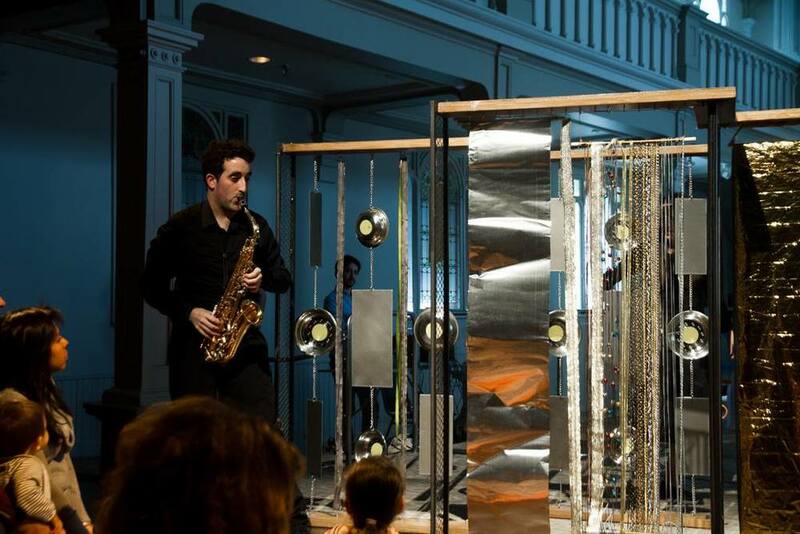 Performance-Installation: Provided live electronics and sensor design for six interactive sound installations for children ages 1 to 4. The project is led by Emmanuelle Lizère, and was produced by the Société de musique contemporaine du Québec (SMCQ). 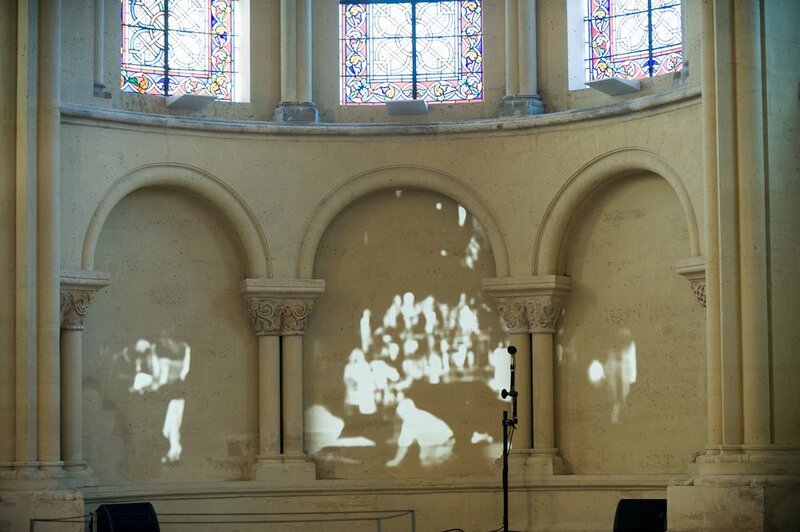 The work was premiered at the Chapelle historique du Bon Pasteur on March 1, 2015 as part of the Montréal Nouvelles Musiques Festival 2015. LIGHTING DESIGN: In collaboration with (In collaboration with Jérôme Delapierre, provided Lighting Design for Stéphanie Leduc and Manuel Baumann's large-scale installation work DANS LES BOIS. 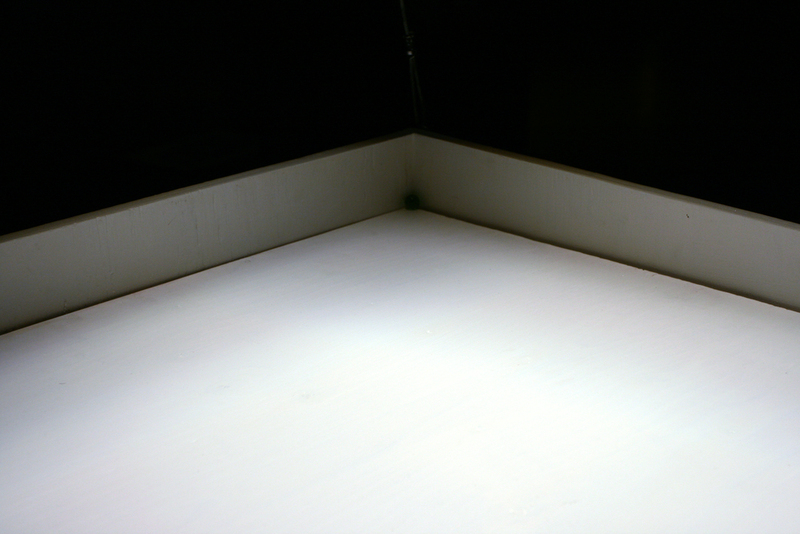 The installation features two panels of 350 LED lights, individually controlled via DMX. Conception : Stéphanie Leduc et Manuel Baumann. Merci à Odace Événements et à toute l'équipe qui a ''buché'' très fort sur ce projet avec nous! Acier structurel : Frédéric Barrette et Christopher McLean de Atelier Gris, Conception lumière : Jérôme Delapierre et Julian Stein, Socle : Julien Marechal de l'autre Atelier, consultant en design industriel : Sébastien Dallaire, notre bucheron professionnel : Bruno Gauvin de Les cèdres de l'Est, Philippe Savard de Robocut Studio ainsi que tous nos généreux amis qui nous ont porté main forte tout au long du projet : Laurance Ouellet Tremblay, David Froment, Louis-René Beaudin, Phil Allard, Patrick Bernatchez, Alt Geneviève Godin'did, Johakim Jasenovic, Jean-Francois Lapointe. Installation: Provided sound/interaction design for Turcot: la route devenue architecture, an interactive installation work by Berengère L. Marin-Dubuard (beewoo), presented in the Satosphere at the Société des arts technologiques (SAT), as part of BIAN 2014. 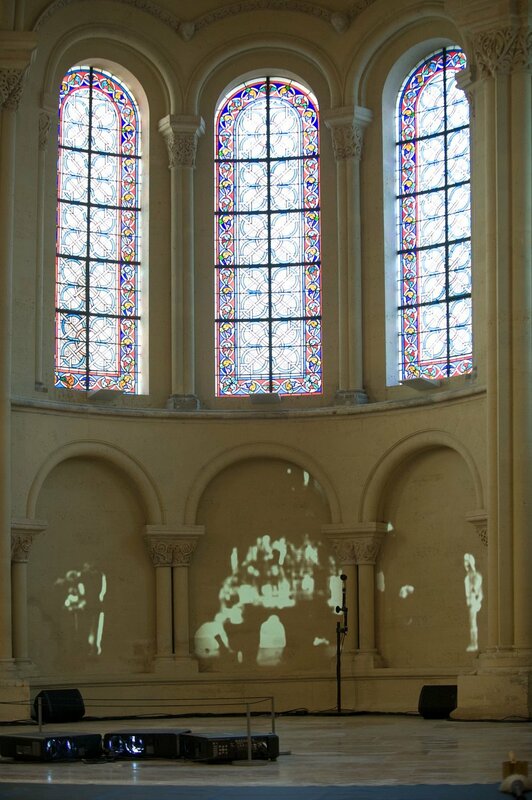 The installation was presented from May 28 - June 27 2014. INSTALLATION: A collaboration between Adam Basanta and Julian Stein, Invisible Lines explores the artistic potential of controlled feedback, and subsequently, the ability to compose temporal structures with microphone feedback as primary material. Six SM58 microphones are coupled with six extracted speaker cones. The piece was presented as part of the Cluster New Music and Integrated Arts Festival 2014 in Winnipeg, MB. INSTALLATION: Music for Lamps is an installation and performance work for sound and light emitting lamps by laptop trio Adam Basanta, Julian Stein, and Max Stein. Household lamps are physically couple with surface transducer speakers that gives each a distinct voice within an immersive environment. The installation features several modes of composed sound and light dialogues between each of the lamps. 12-channel office lamp version of the installation functionally incorporated into the Play as Inquiry experimental practicum in Chicago, IL. INSTALLATION: Music for Lamps is an installation and performance work for sound and light emitting lamps by laptop trio Adam Basanta, Julian Stein, and Max Stein. Household lamps are physically couple with surface transducer speakers that gives each a distinct voice within an immersive environment. The installation features several modes of composed sound and light dialogues between each of the lamps. 4-channel version of the installation functionally incorporated into the Time Forms Symposium at McGill University in Montréal, QC. INSTALLATION/PERFORMANCE: Music for Lamps is an installation and performance work for 12 sound and light emitting lamps by laptop trio Adam Basanta, Julian Stein, and Max Stein. 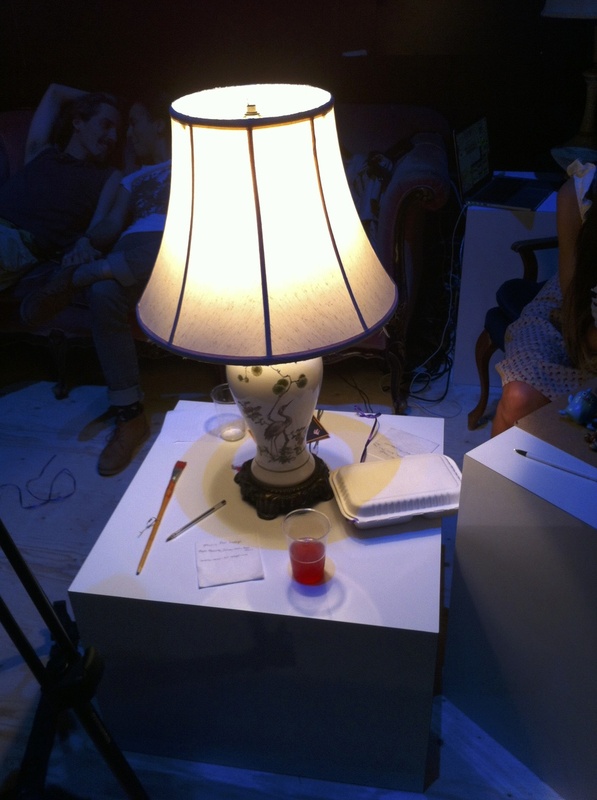 The piece was presented as an installation as part of the 2013 Fine Arts Graduating Students Exhibition at Concordia University's FOFA Gallery in Montréal, QC, with a performance by the trio at the show's vernissage. INSTALLATION: In collaboration with Kathy Kennedy, cumulonimbus is an installation that involves hyper-directional audio spotlight speakers that track and whisper into the ears of visitors within a darkened room. The piece was presented as part of the 2013 ELEKTRA digital arts festival in Montréal, QC. 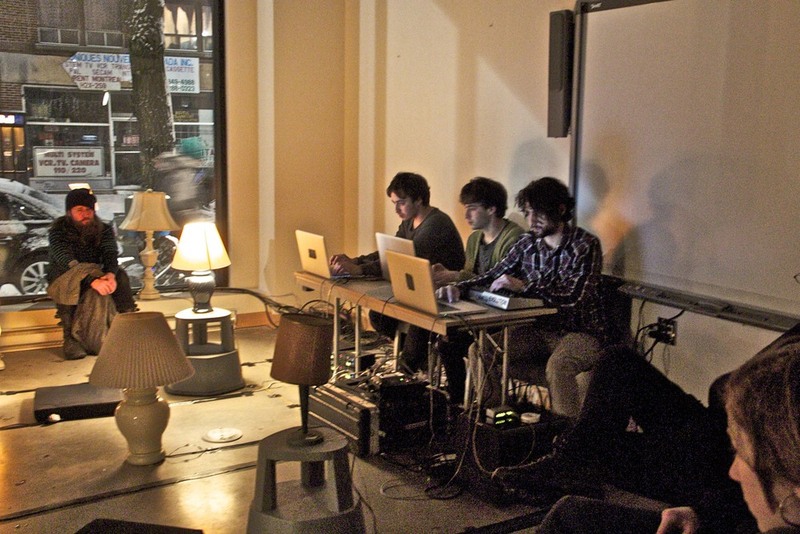 INSTALLATION/PERFORMANCE: Music for Lamps is an installation and performance work for 12 sound and light emitting lamps by laptop trio Adam Basanta, Julian Stein, and Max Stein. The piece was part of a matralab curated night of installations and performances entitled LuminoSoniCities for Nuit Blanche 2013 at the Goethe-Institut in Montreal, QC. INSTALLATION: The Montréal Sound Map is an interactive soundscape project that allows users to upload field recordings to a Google Map of Montréal. Since 2008, almost 300 sound recordings from all over the island have been collected and archived. 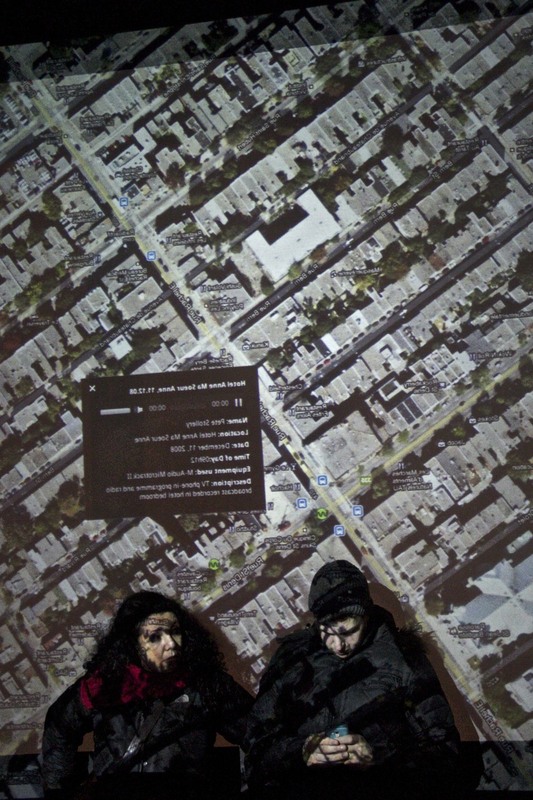 In this installation, the Montréal Sound Map is projected on a window of the Goethe-Institut. The map runs on autoplay with field recordings selected at random one after another, and the map pans to new locations following each newly selected sound. 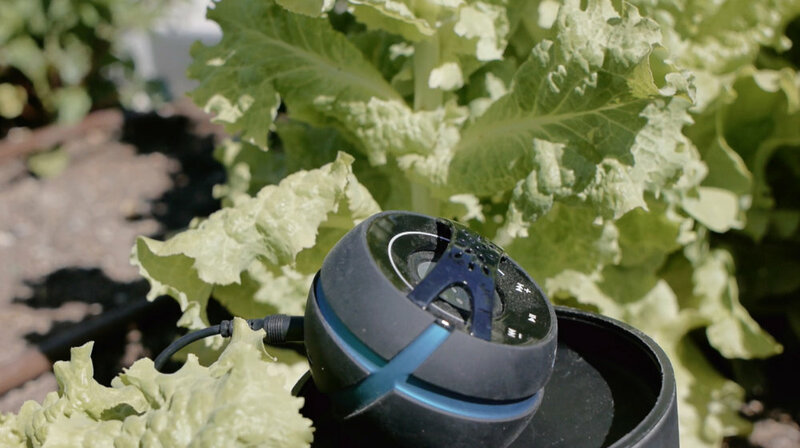 The audio will be heard both outside and inside, providing viewers with two very different listening environments: one static and one dynamic. INSTALLATION: In collaboration with Max Stein, the Montréal Sound Map installation was presented as a silent disco which blends sounds from the Montreal Sound Map with electronic music curated from local Montreal artists, curated by Jen Reimer and Gambletron. The project was present at the Canadian Centre for Architecture (CCA) in Montréal, QC as part of Nuit Blanche 2013. The Montréal Sound Map is an interactive soundscape project that allows users to upload field recordings to a Google Map of Montréal. Since 2008, almost 300 sound recordings from all over the island have been collected and archived. INSTALLATION: In collaboration with Sandeep Bhagwati and Adam Basanta - At sparse intervals, live sounds from outside the concert venue are blasted through a piano board, synchronized with violent flashes of light, and followed by a trace of quiet resonance. The installation work was presented at the Goethe-Institut for Nuit Blanche 2013 in Montreal, QC. INSTALLATION/PERFORMANCE: Music for Lamps is an installation and performance work for 12 sound and light emitting lamps by laptop trio Adam Basanta, Julian Stein, and Max Stein. 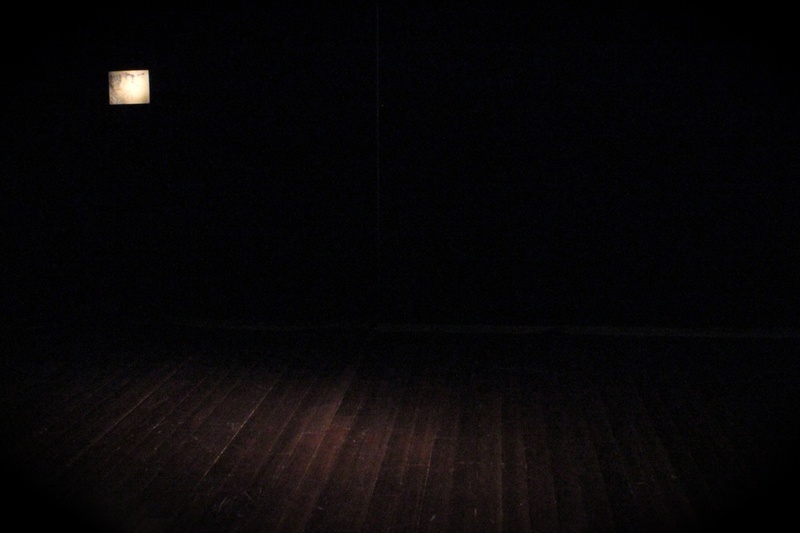 The piece was presented over two days as an in situ installation at the late Café Zosha in Montréal, QC, with two nightly performances. INSTALLATION: A three-piece installation of kinetic sound sculptures and video work in collaboration with Max Stein and Drew Barnet. The installations were part of Pop Montréal’s 2011 Art Pop @ la Société Des Arts Technologiques (SAT) in Montréal, QC). INSTALLATION: A three-piece installation of kinetic sound sculptures and video work in collaboration with Max Stein and Drew Barnet. 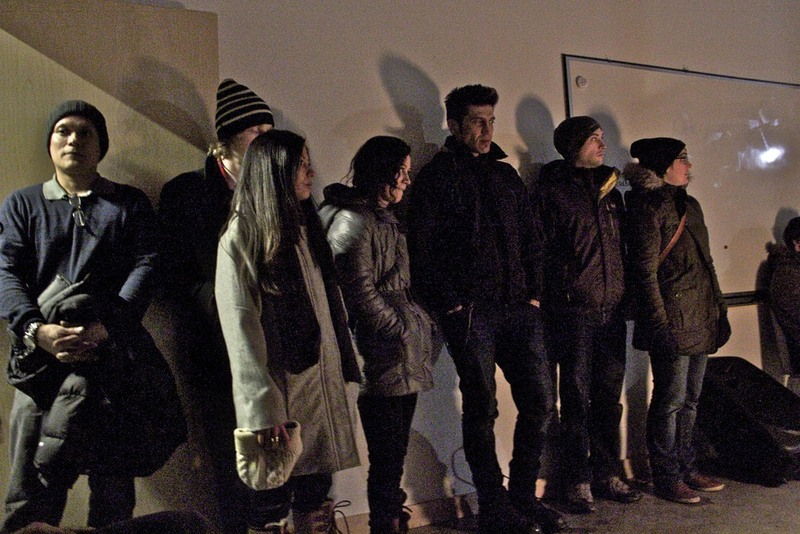 The installations were presented at Concordia University's VAV gallery in Montréal, QC.